Storage equipment safety inspections are a statutory requirement under current health and safety legislation.? Regulations state that inspection of storage equipment must be carried out on an annual basis despite whether the system in place is new or used at the point of installation.? Failure to do this means that you are not compliant with current legislative requirements which can also affect your insurance and can in some cases prove to be a very costly mistake. 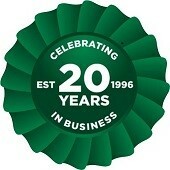 We have a fully qualified rack inspector who will visit your premises ? with minimal disruption ? to carry out an independent inspection and provide you with a report comparing your racking to the guidelines on the SEMA code of practice. The inspection will include details of the quality of your racking and how well you maintain it. 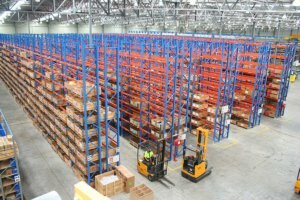 The safety inspection report will clarify all aspects of your existing pallet racking and will present various levels of risk. The report will be colour coded in a hierarchical design so you understand what needs to be done urgently and what can wait a bit longer. With over 20 years of experience in the racking industry as qualified installers, you can be sure that we will do the job right the first time around! As well as the racking inspections, it is also recommended that you participate in regular safety checks yourself and you allocate this job to a competent person. This can be a critical aspect of warehouse safety and can save you time and money in the long run! Advanced Handling & Storage can offer you a fast and efficient inspection service backed up but a detailed analytical report and drawings, giving you not only a personal service, but also ensures our clients confidence and continuity. Remember?. PREVENTION IS BETTER THAN CURE!